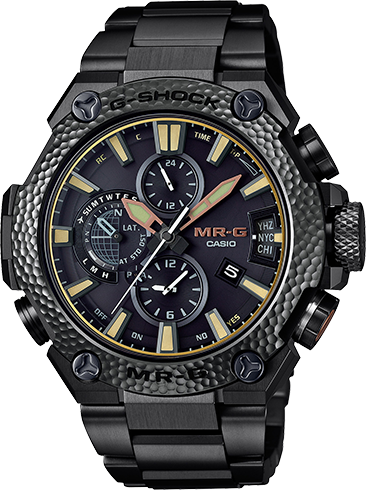 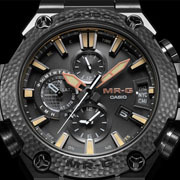 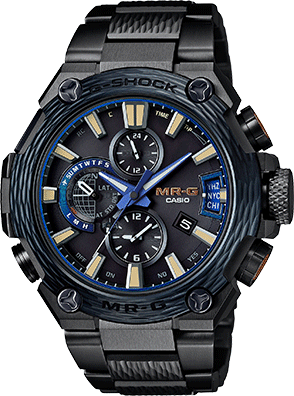 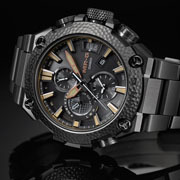 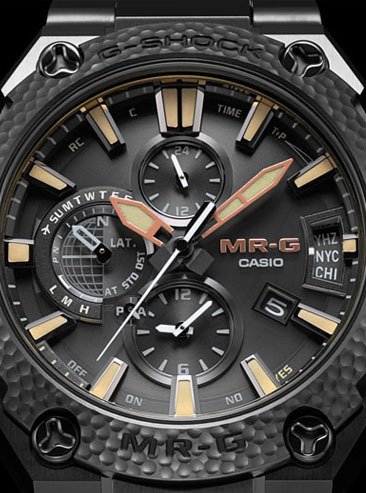 Introducing a new model from MR-G, the top of the G-SHOCK line, that packs BluetoothÂ® GPS radio-controlled solar-powered timekeeping into an elegant design featuring a hammered finish bezel.Traditional tsuiki metal hammering has been used in Japan for centuries in the production of armor, copperware, and other metal implements using a mallet and special chisel that leave marks that create a distinctive pattern on the metal. 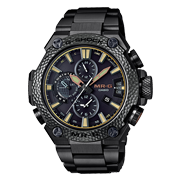 These marks resemble the scales seen on black dragon drawings and make each item a work of art. 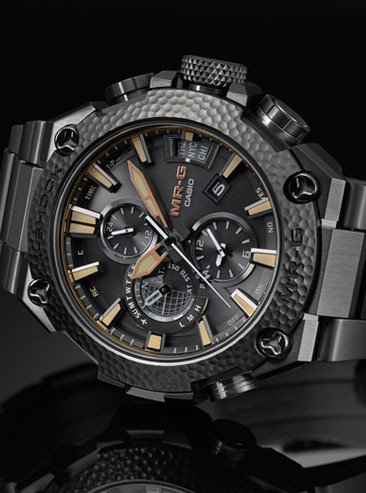 The painstakingly hammered patterns of the metal reflect the personality of the artisan who created them, and identify the handmade nature of each item. 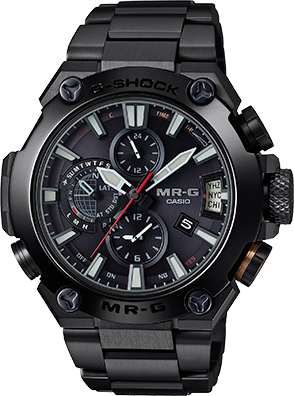 This traditional Japanese aesthetic sense is applied to a shock-resistant, full-metal body that houses a 3-Way Connected Engine for accurate timekeeping virtually anywhere in the world. 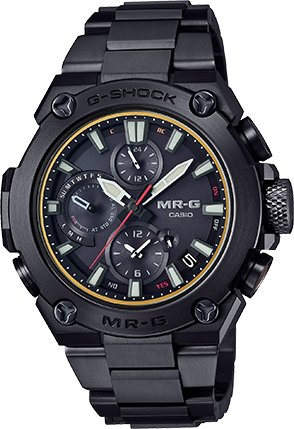 The result is absolute toughness and absolute accuracy that is distinctively MR-G.